For First time home buyers...... let me show you the special financing available to you. Investors......Knowledge of the areas sales and values will help secure the RIGHT properties.... Waterfront Homes and Condos....Insight on BEST WATER and Easy Gulf Access. I'm a Full Time Agent that is......"ALWAYS AVAILABLE"
Relocated to the Pasco area in 1994. Started in Real Estate in 1995. 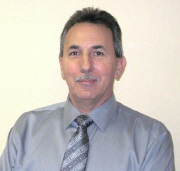 Consistant Top Producing agent in the Pasco area. Member of the Board of Directors West Pasco Board of Realtors 2001, 2002 and 2003. I found that the key to successful Real Estate is first listening to the Buyer or Seller. Being able to understand what they need to accomplish BETTER than they do will always lead to a successful Transaction. This page has been visited 675 times.